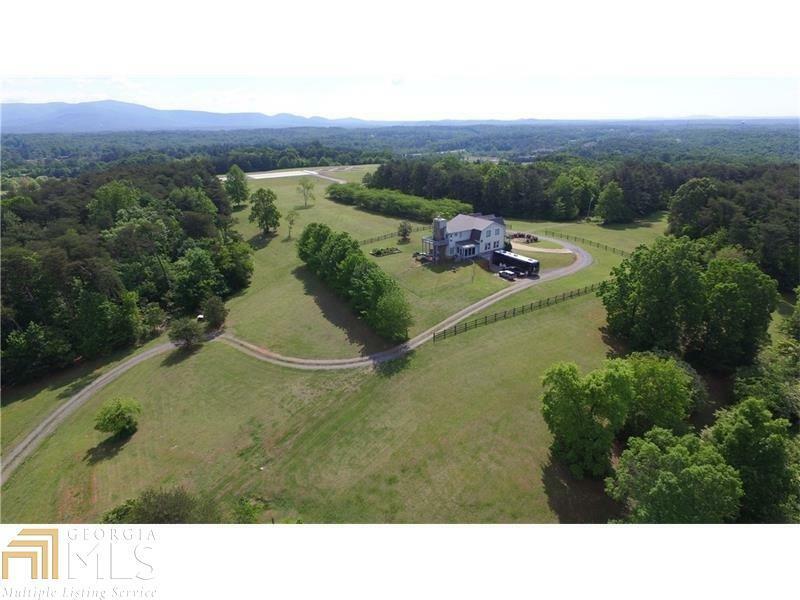 TAKE A LOOK-Perhaps Most BEAUTIFUL AND ACCESSABLE PROPERTY IN PICKENS COUNTY Private, secluded, gated,mountain home nestled on 8-10 acre opening on approximately 59 acres 2 miles from downtown Jasper. MAGNIFICENT VIEWS OF MOUNTAINS. Buy to invest, build or live in the highly unusual cedar log home that features 30 ft cathedral living room ceiling and 12 ft ceilings on the main level. Rustic family room with oversized stacked stone fireplace, exposed beams, heated enclosed sunroom, Master with stacked stone fireplace, large balcony, Additional bedrooms upstairs, full basement with 3 car garage, small office and storage! Out buildings for pasture maintenace equipment storage; barn with caretaker suite, pond,rv storage and power Gated,alarm. Furniture moved. Directions: Directions: Highway 515 North To Left At Jasper Jeep On Salem Church Road. First Right Onto Private Driveway.